This whisky was distilled just after World War II. The Macallan has been on a literally record-setting run as of late. The Speyside Scotch whisky brand—which just opened a new state-of-the-art distillery and visitor center—recently smashed the record for the most expensive whisky ever sold when a single bottle of The Macallan Valerio Adami 1926 60-Year-Old was auctioned off for over $1.1 million. The sale broke a record set earlier this year by—you guessed it—a couple bottles from The Macallan. But while these record-breaking numbers are great for The Macallan’s prestige (which in turn can drive sales and pricing), the distillery has apparently decided it’s tired of letting third-party sellers have all the fun, and the brand has dug deep—extremely deep—into its own cellars to unveil the oldest single malt whisky it’s ever released, aged for an incredible 72 years… meaning this spirit was distilled only shortly after the end of World War II. 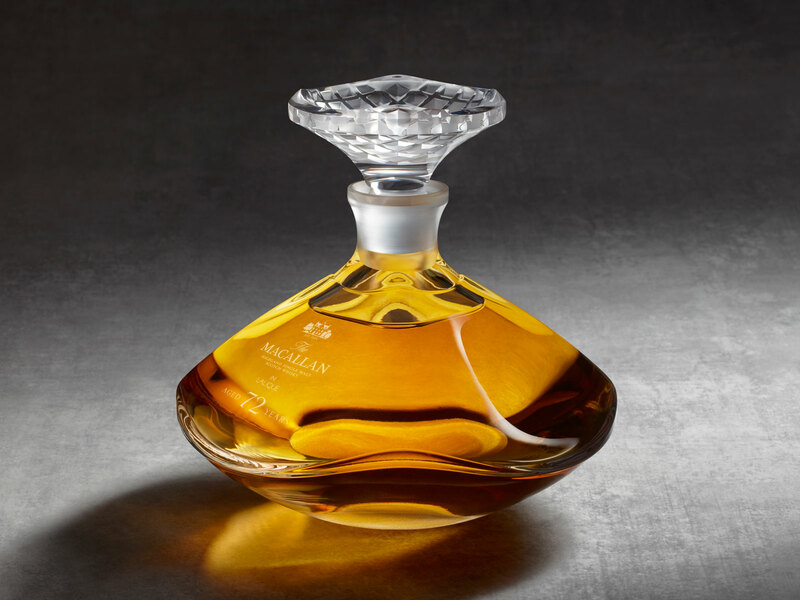 Of course, a tipple of this magnitude can’t simply be tossed in any old bottle (well, it could, but obviously, it wouldn’t be), and the whisky’s full name truly reveals the grandiosity behind it: The Macallan 72 Years Old in Lalique—The Genesis Decanter. As for getting your hands on a bottle, well, before we get to pricing, know that production of The Macallan 72 Years Old in Lalique is limited to just 600 individually-numbered decanters worldwide which will be available “at select locations globally including the Americas, Asia Pacific, Europe, Middle East and Africa” as well as “in exclusive airport retail stores and from The Macallan Distillery and Visitor Experience itself.” When these Genesis Decanters do hit the market in August of this year, the price is set to land at $65,000 per 750-milliliter bottle. That might sound expensive, though you probably should expect to wait and get a deal at auction somewhere down the line.